Pricing for our beautiful Maternity Session is a session fee of £50 (payable in advance to secure your session) and then a choice of one of the two beautiful package options below. We currently offer all our Maternity Clients the option to book their Newborn Session at half price (reducing the Newborn Session Fee to £25). Pricing for Newborn Sessions is a session fee of £50 (which is required upon booking to secure your session) and then your choice of the Collections below depending on your requirements. We use the finest craftsmen to provide a range beautiful photographic products with unrivalled quality. Should you wish to purchase additional wall art please ask to see our full list of product options. The prices here are for the session and the digital images. 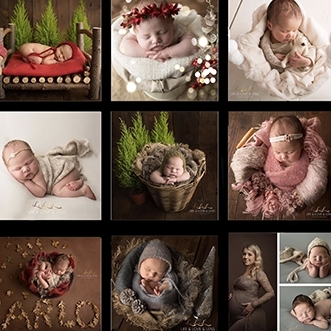 For our clients who would like just a few simple but beautiful images of their new baby. Baby will be wrapped throughout the session, as this allows them to remain as sleepy and comfortable as possible. If little one is awake then we will capture images with their beautiful eyes open. Would you like some images just of 3 of you? To celebrate the birth of your new family? This package is for you. Images with Mummy & Daddy individually and all three of you together. Our pricing for our Cake Smash session is £50 for the session fee which is payable in advance to secure your session and then you have the choice of one of the fabulous packages below to suit your requirements. Both packages include a cake & a beautifully designed set to make your baby’s first birthday photoshoot perfect. The perfect way to capture memories of your little one’s first year. Our pricing for our Sitter Session fee is £50 which is payable in advance to secure your session and then you have the choice of one of our packages below to suit your requirements. Prices include all edited images provided on disk. Plus one round of Client requested edits. For Corporate Headshots & In-Situ Portraits – Day/Half Day rates apply. Price includes 1 hour shoot with an extensive gallery from which to choose up to 10 digital images. In addition we also offer a wide selection of beautiful products so just ask to see our a la carte product list.